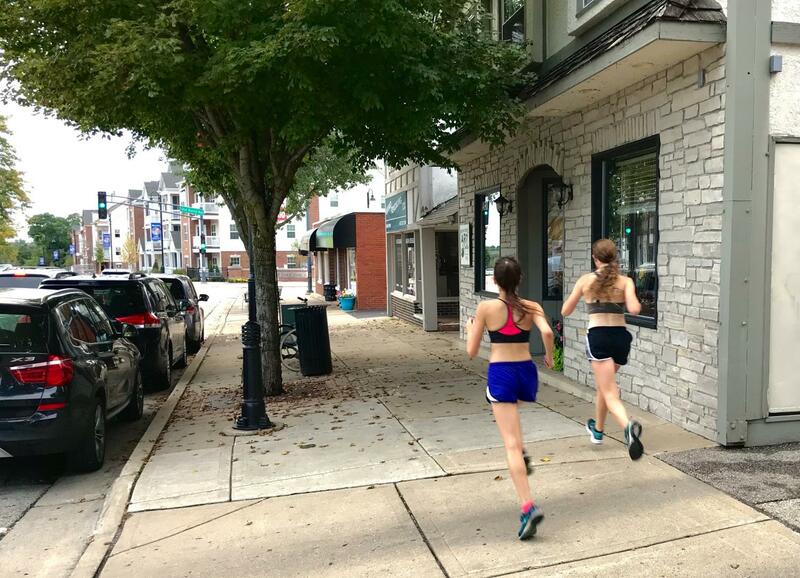 Two members of the girls cross country team run through downtown LZ. Even on runs like these, female runners say that they have to stay cautious of any threats that may come their way. When a girl laces up her running shoes and starts her watch, her expectation is that of a workout, one that will make her feel better after she is done. She is prepared for the harassment of a passerby, but she definitely does not expect for that harassment to lead to her death. Such was the case of Mollie Tibbetts, a 20-year old University of Iowa student, who went for a jog in July 2018 and never returned. A month later, it was discovered that she had been killed by a man who had followed her in his car. With this issue brought to light, women across the globe and here at LZHS have been inspired to speak up about their reactions to the Tibbet’s and their concerns for their own safety. For O’Malley, however, the worry of an instance like Tibbetts does not come from news stories alone. She, like many other runners, has had personal experiences as the victim of strangers. While harassment is a problem of its own, it also highlights the different encounters that males and females experience. According to Monoson, it is no coincidence that a survey by Runner’s World shows that while 43% of women had faced harassment on their runs, only 4% of males had dealt with the same thing. For O’Malley, the safety procedure is very similar. However, this extra caution does not just apply to solo runs. Even together, the girls cross country team, which often runs off campus, has many safety procedures in place to safeguard against the threats that the girls may face on the streets. However, no matter how many careful policies are put in place, there is always still a chance that someone could be harassed, or in the case of Tibbetts, murdered. That is why, according to Dunbar, there is no perfect solution to the problem.